Manchester City manager Pep Guardiola warned his under-achieving squad that they are playing for their futures at the Etihad Stadium. The former Barcelona and Bayern Munich coach, tasked by the Abu Dhabi owners with establishing the club among Europe’s elite, has found his first season to be more demanding than he might have expected. City made an early exit from the Champions League last month, losing to Monaco in the last 16, the first time Guardiola has not reached the quarter-finals as a coach. Their 2-2 draw at Arsenal on Sunday, when they twice surrendered the lead and failed to take advantage of Chelsea’s surprise home defeat by Crystal Palace, left them 11 points adrift of the Premier League leaders. City travel to Chelsea on Wednesday. 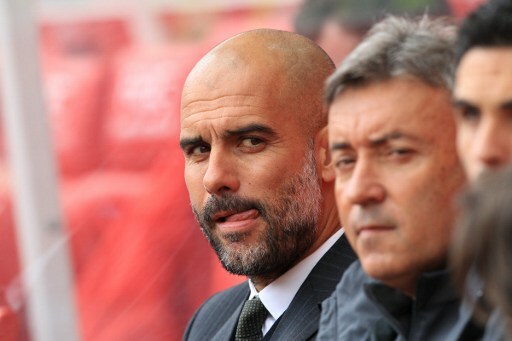 Guardiola, who has yet to finish a season as a coach without at least one trophy, said new blood would be brought in for next season but those at the club at the moment could cement their futures with City in the next few weeks. “We will think about it (new buys), we will discuss with the chairman, Txiki (Begiristain, the director of football), all the bosses,” said Guardiola. “Every club wants to improve and of course the changes are necessary, but we are going to discuss at the end of the season. There were no recriminations from Guardiola — at least in public — over City twice letting Arsenal equalise and costing them two points in the process. “Every game is completely different so what I like of my teams is to have the courage to play,” said Guardiola. Chelsea won 3-1 at the Etihad Stadium in December, when Sergio Aguero and Fernandinho were both sent off by referee Anthony Taylor in an ill-tempered end to the game. City were later fined £35,000 ($43,000, 41,000 euros) and Chelsea £100,000 by the FA after both clubs were found guilty of failing to keep their players under control. However, Guardiola has no worries about the temperament of his players. “We can talk about Sergio and many things, but we are not going to say Sergio Aguero is a dangerous player, please,” he said. “What happened in that game… We were 1-0 up, created unbelievable chances to go 2-0 or 3-0, and after the reaction what happened with Sergio and Fernandinho is our frustration.